(Conversation) – The “obesity epidemic” deserves much more serious attention than it is getting. It is, after all, thought to be killing nearly 3m people a year worldwide. It is putting huge pressure on health services, yet the public policy response in developed countries such as the US and UK is pitiful, largely confined to finger-wagging at children’s sugary treats. The story that has not been getting out is that there is a clear and extraordinary correlation between obesity and social inequality. Obesity is invariably presented as a diet issue for nutritionists, whereas social inequality is deemed the domain of sociologists and economists. Put another way, even as the inequality gap becomes more and more obvious there’s been a medicalisation of a social problem. Yet obesity is not just a matter for nutritionists: rather, it is a product of social inequality and requires a collective social response. This failure to face up to the underlying causes of obesity is all the more striking as issues of social inequality and justice are dominating the news agenda. Despite vast increases in total wealth in the world today, the health issue remains a marker for a general political problem about inequality in society, even in the most affluent societies. The tragedy is that obesity is usually treated as a problem and responsibility of individuals or families – not as a social problem like, say, low-educational achievement or delinquency. And so the solutions are pitched at that individual or family level. And yet the statistics point remorselessly towards obesity being a symptom with an underlying social cause. That should completely change the approach to dealing with it. But so far, it hasn’t. Take the US. Here, the most “obese” state, Arkansas, is also the fourth poorest state overall, whereas the poorest state, Mississippi, is also the third most overweight. The picture in the nation’s second poorest state, New Mexico, is less clear because here it is complicated by another factor: ethnicity. New Mexico has “only” the 33rd highest adult obesity rate – apparently bucking the trend. Yet even in “The Land of Enchantment”, the correlation of wealth and health still leaves its unmistakable fingerprint. Here, the adult obesity rate is 34.4% among black adults, 31.3% among Latino adults and a comparatively sprightly 23.9% among white adults, again reflecting wealth distribution. Recall that in terms of relative income, a 2017 study found that it would take 228 years for the average black family to reach the same level of wealth that white families have today, while for Latino families, it would take 84 years. Meanwhile, colour correlates to poor health and reduced life expectancy. Recent studies in England also illustrate this link between obesity and income. As you can see in the interactive graph below (toggle the options to see how they compare), of the ten worst areas in terms of overweight or obese children, half are also in the worst ten for child poverty. England’s most obese council, Brent, is also its ninth poorest, whereas England’s wealthiest council, Richmond, despite being a neighbouring council in London, is one of the sprightliest, with a relatively low rate of obesity. And England’s poorest council? Another London borough, Newham, is also the eighth most affected by childhood obesity. In its way, these figures are as disgraceful an indictment of social priorities and inequality as the 19th-century mortality levels due to epidemics of rickets or typhoid. And the solutions needed are every bit as collective rather than individual. 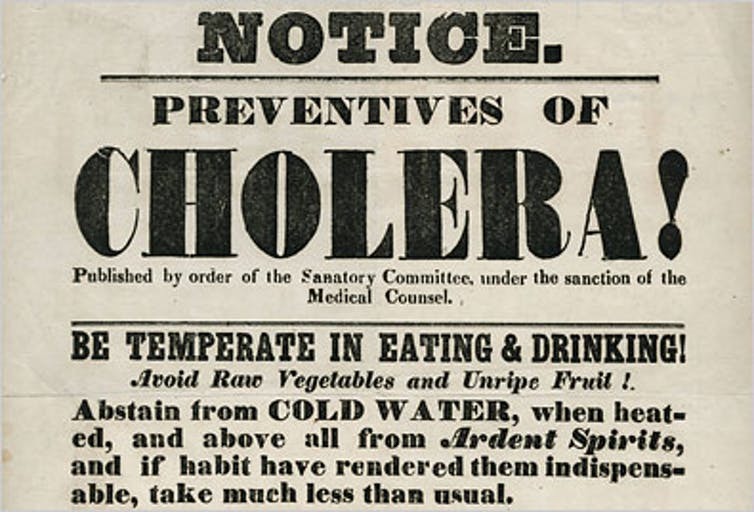 Imagine that the Victorians had tried to tackle typhoid by advising everyone to live in the countryside near clean wells, rather than by building sewers and water treatment plants. Today’s response to an epidemic that kills so many people around the world that it has become the fifth leading cause of early death, is just as unrealistic. In the early years of the 19th century, the industrial towns of the West were characterised by overcrowding, poor housing, bad water and disease. Epidemics, even in the modern cities of New York and London, were – it was assumed – a part of life. The fact that they caused significantly greater suffering in the poorer, slum neighbourhoods only contributed to the blasé responses of city leaders. Epidemics were interpreted as punishments for moral turpitude – in much the same way that today’s illnesses linked to being overweight are. It was only very slowly that such attitudes – deeply rooted in religious notions of individual guilt – gave way to public health measures. Meanwhile, businesses fought against public sanitation proposals fearing increased costs – in much the same way that the food industry resists or subverts public health initiatives as the investigative journalist, Michael Moss, in particular has detailed. And like today, the business interest was often backed by politicians. The hazards back then were not ambiguous things such as sugary soda drinks or ready meals, but rotting animal carcasses and mountains of refuse. Yet the opposition to change was similar – every improvement had to be fought for. So what are the factors that push poorer people towards unhealthy eating? Food and health policy expert Martin Caraher has explained that food choices are massively influenced by factors such as income, knowledge and skills. Others have highlighted the fact that eating well invariably involves more food preparation time. Yet such explanations don’t fit many cases, indeed seem dangerously retrospective. What is sure is that you cannot deal with the obesity epidemic by taxing popular snacks, anymore than you could deal with rocketing suicide rates by taxing sales of rope. The point is that we need to collectively tackle the places where obesity germs breed – in stressed communities characterised by insecure and erratic employment, inadequate education, stress, depression and a lack of social cohesion. That this requires an enormous shift in public priorities is only to be expected – but the consequences of not acting are far worse. This report prepared by Martin Cohen, Visiting Research Fellow in Philosophy, University of Hertfordshire for The Conversation.